Is it just me or is there a juice frenzy going on? I feel like everywhere I look and read online, everyone has caught the “juicing” bug. Get the tiger juice master…juice your veggies…green juice…orange juice…juice your juice. Not me….I personally like to CHEW my food. Isn’t that what these chompers called teeth are for? chewing? masticating? gnawing? 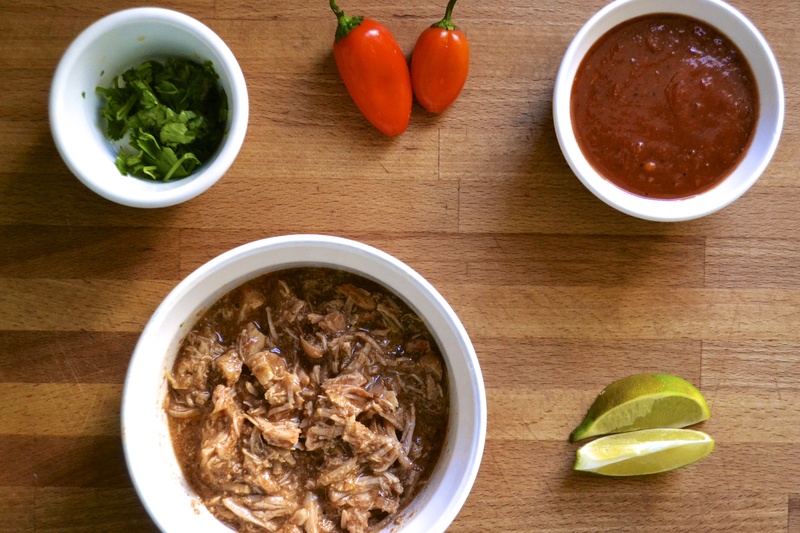 So if you are into chewing your food, then you will totally be into these carnitas (mexican-style pulled pork). But it is the good kind of chewing. I’m not talking about chewing through leather, my friends. I’m talking about chewing tender and juicy fall-apart pork. USE THOSE BEAUTIFUL TEETH! Want to please a crowd? Serve pulled pork. You’ll be a hero. They’ll write legends about you. 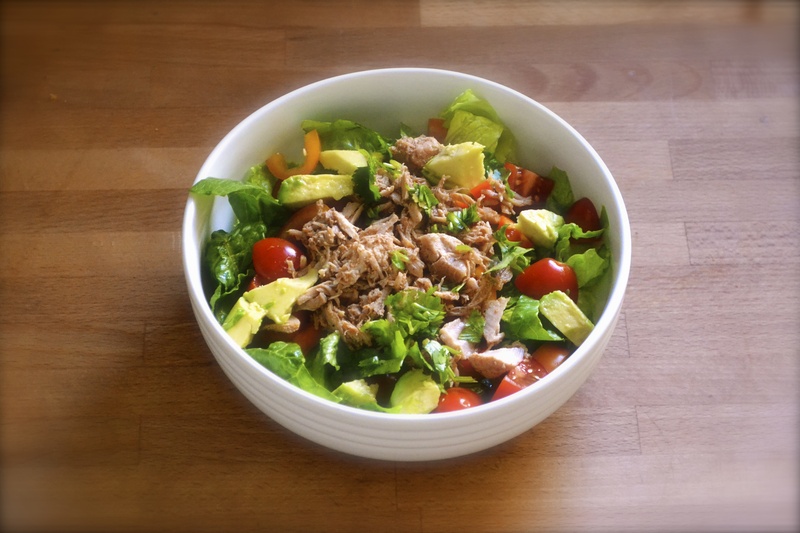 And even better…make it in your handy dandy crockpot. Win win. Throw in the roast in the morning…come home to drool-worthy smells. It’s so versatile. You can make tacos or taco salad bowls or bbq pulled pork or sliders or add it to chili or even mix it into scrambled eggs for breakfast. Even if you don’t need to feed a crowd, slow cooking a 4 to 5 lb pork roast will give you dinner options for the full week. Or call me and I’ll be over pronto for dinner. I’ll be your best friend. F-o-r-e-v-e-r! Hear the crowd roar! You may be asking, “But carnitas typically have crisp edges!? 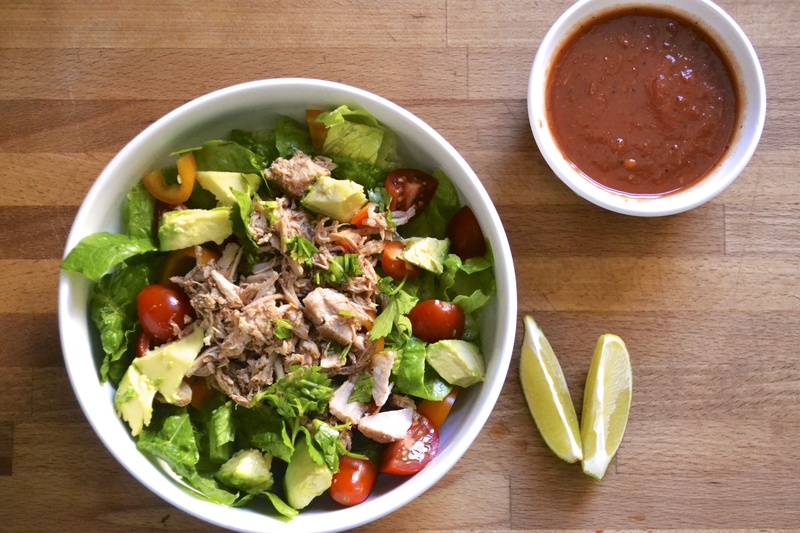 !” “How do you get that in a slow cooker?” Oh honey… Easy Peasy! Just before serving, finish the shredded pork roast under a broiler or high temp oven to get the crisp edges that we love so much. Ya. This is a little trick that Cook’s Illustrated uses. Those people are geniuses! You can even freeze the leftovers in small portions for later use. Quick lunch or quick dinner options right at your awesome finger tips! You will never lose. See…you are a hero! Recipe adapted from Gimme Some Oven and Bon Appetit. Toss pork in bowl of slow cooker with spices (chipotle powder through black pepper) to coat. Place onion pieces on top of cubed pork. Pour lime juice and chicken broth on top. Cover slow cooker. Cook on low setting for 6 to 8 hours, or until meat is very tender and falling apart. Now for the crispy edges. Once the pork is cooked, preheat your broiler to high heat. Line two baking sheets with aluminum foil. Set aside. Using a slotted spoon, transfer the pork from the slow cooker to a cutting board. RESERVE THAT BROTH!!!! Use a fork or fingers to shred the pork into bite-sized pieces. 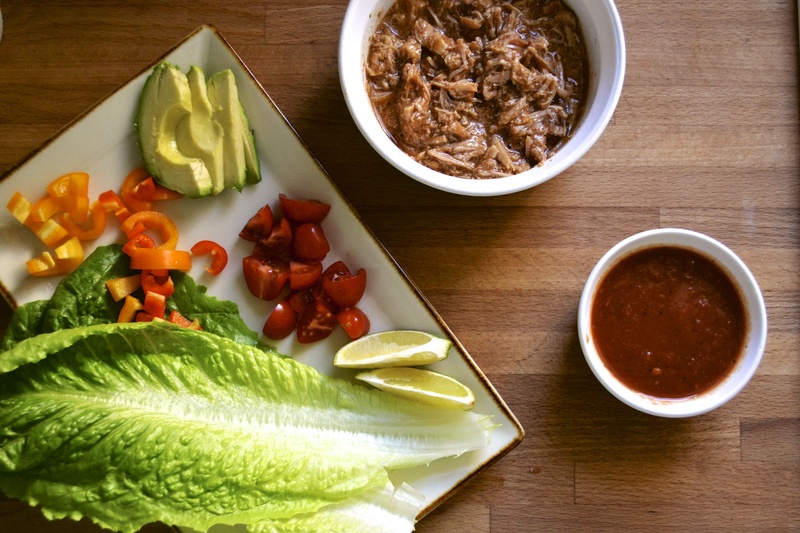 Transfer the shredded pork to the prepared baking sheets, spreading it out evenly in a single layer. Broil one sheet at a time for about 5 minutes, or until the edges of the pork begin crisping up. Remove the sheet from the oven and use tongs to carefully toss the pork. Ladle some of the reserved broth (about 1/4 of a cup) over the pork. Return to the oven and broil an additional 5 minutes to finish the crisping processes. Pull from oven. Repeat this process with the second pan. Transfer crisp carnitas to a platter and ladle more reserved juice on top. For taco bowls, serve with avocado slices, cilantro sprigs, fresh lettuce, jalapeños, fresh salsa, and sliced red bell peppers, if desired. Pulled pork is the only way to go! You’ll swoon over this. For a southwest breakfast, add it to scrambled eggs for something different. I’ve been wanting to learn how to make carnitas for the longest. Look out pigs, here I come! Thanks, Alissa!